Holiday season is upon us and we decided on a road trip across to Luxembourg (from England) to visit family. Our first port of call (sorry!) was Folkestone. Successfully avoiding Operation Stack (by weaving through the very beautiful Kent a.k.a ‘Garden of England’) we arrived at our friendly and perfectly-located B&B for the night. Wondering into town for some dinner we happened completely by chance on the cultural quarter. It’s an area dominated by a steep picturesque cobbled street which meanders down to the harbour. 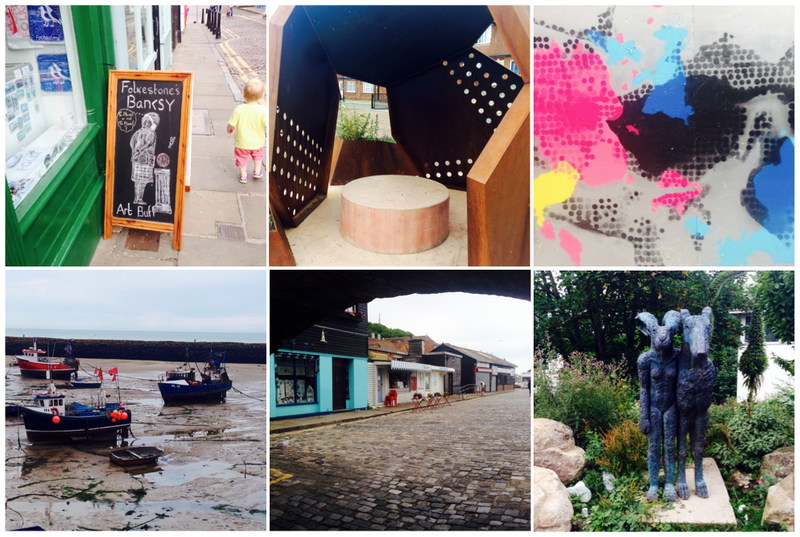 It’s stacked full of friendly restaurants, bars, creative shops, street art, studios and start-ups made possible through an experimental regeneration project. Public artworks were dotted about including people-friendly ‘Steve’ (2014) by Sarah Staton made from Corten Steel (central top photo below). The sculpture had the bold solid aesthetics of Henry Moore and Richard Serra and comprised of a central pavilion surrounded by ‘Steve’s Children’ (planters of edible coastal plants). This is definitely an area we’d like to go back and explore further! Soon enough though it was time for the ferry. The drive through Belgium was quick and soon we found ourselves in Luxembourg. 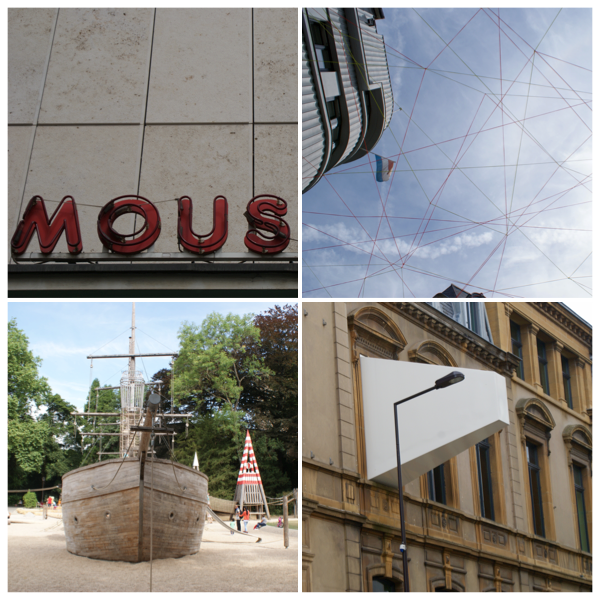 Luxembourg was full of nice typography, modern additions to traditional buildings and exciting exhibition spaces. The great thing about the noticeably friendly Luxembourg is it’s proximity to several different countries making for a varied holiday. A morning day trip took us to the Centre Pompidou Metz. It’s a contemporary art centre full of 20th & 21st collections but the building itself forms part of the experience as you weave your way through its hexagon design. 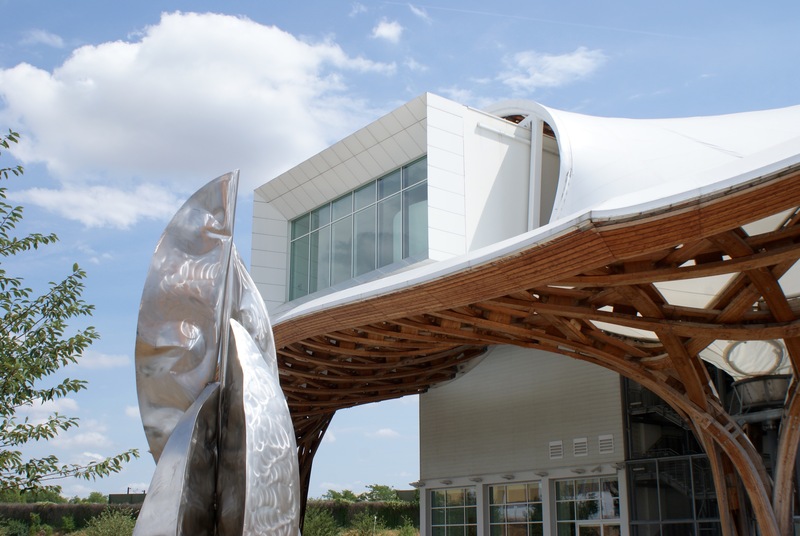 Designed by Japanese architect Shigeru Ban and inaugurated in 2010, the roof structure just soars in an organic free-flowing way – it is one of the most complex and daring roof structures to date. Rumour has it the shape was inspired by a Chinese hat that Ban found in Paris and its playful in it’s context – they’ve added undulating grass to surround the building adding to the unique approach! On the inside there’s plenty to see too. 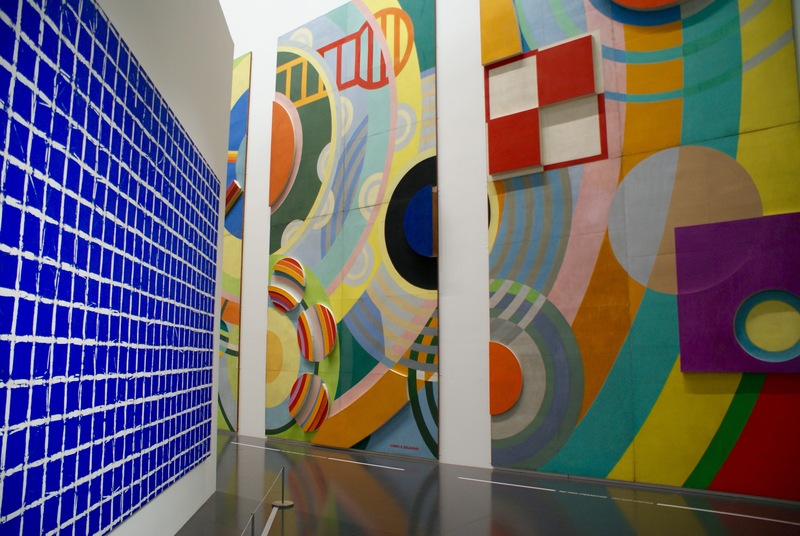 These 4 painted reliefs on wood by Robert Delauney were inspired by the technology and abstract rhythms of transport and were used as an entrance to a railway station in Paris in 1937. Tired of being limited in scale he explored large-scale murals ‘whose imposing dimensions and public enabled him to reach a much larger audience which was in keeping with his social conception of art’. These four decorative panels also illustrate the painter’s will to unify the creative inspirations of architectrure and painting in a harmonious synthesis or ‘total work of art’ [Exhibition plaque]. En route back to England we booked a last-minute stay at the self-catering waterfront Apart Hotel in Dunkirk and it was just perfect in terms of friendliness and location. 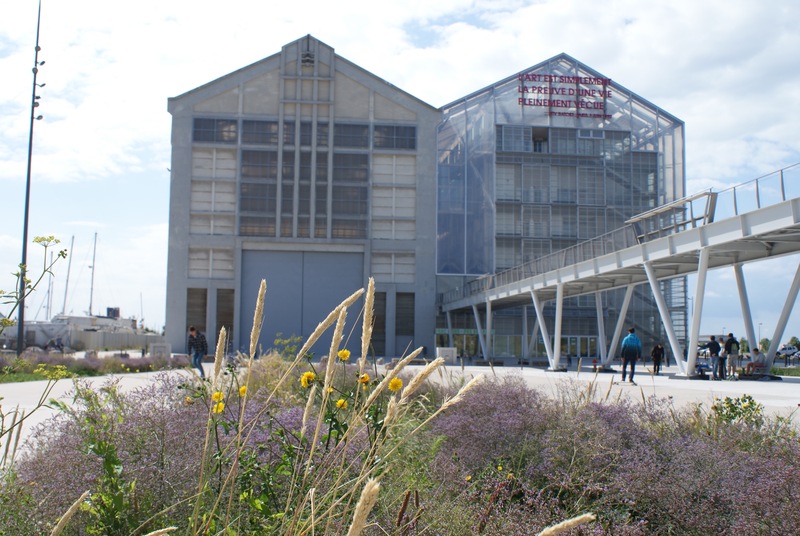 We immediately set out to explore Dunkirk by foot headed towards FRAC – a contemporary art centre which was built just 2 years ago in 2013. The caption mounted on top of the building translates as: ‘Art is simple proof of a life well-lived’. The next morning, before we boarded our ferry, we trekked across town (which has streets of astoundingly inventive post-war architecture) out to the French and British memorials. Dunkirk of course is known for ‘Operation Dynamo’ the 1940 evacuation of 340,000 Allied Troops. For the British there is a memorial ground designed by Phillip Hepworth with an engraved glass panel depicting the evacuation by John Hutton. It is quite honestly the most poignant and serene space we’ve ever visited. On entering there is a large engraved wall which states: The land on which this cemetery stands is the gift of the French people for the perpetual resting place of the sailors, soldiers and airmen who are honoured here. 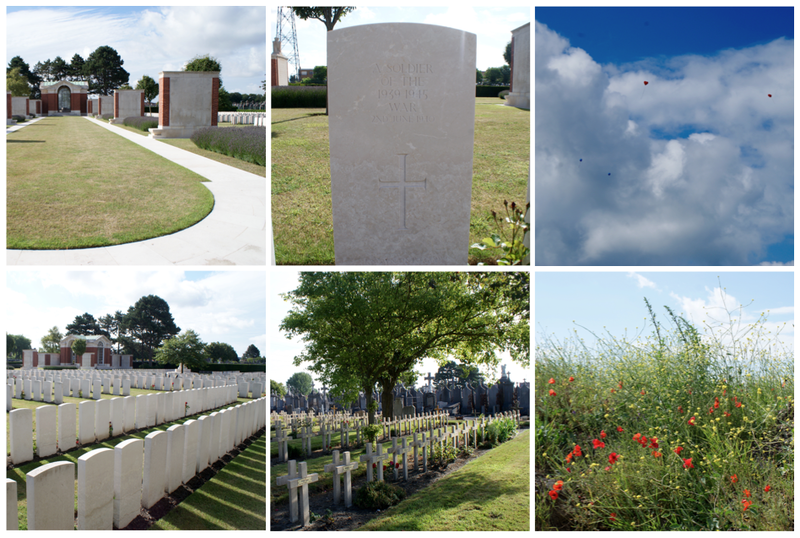 As you walk down the avenues of headstones you note the incredibly young ages, the unknown names and the fact the deaths run in date order endlessly – it is a hugely powerful and well designed monument: Dunkirk Cemetery houses 460 World War I graves and 793 from World War II, of which 223 are unidentified. At the entrance to Dunkirk Cemetery is the Dunkirk Memorial, commemorating 4,500 British Expeditionary Force troops who died or were captured there during World War II and who have no known grave [Historvius]. 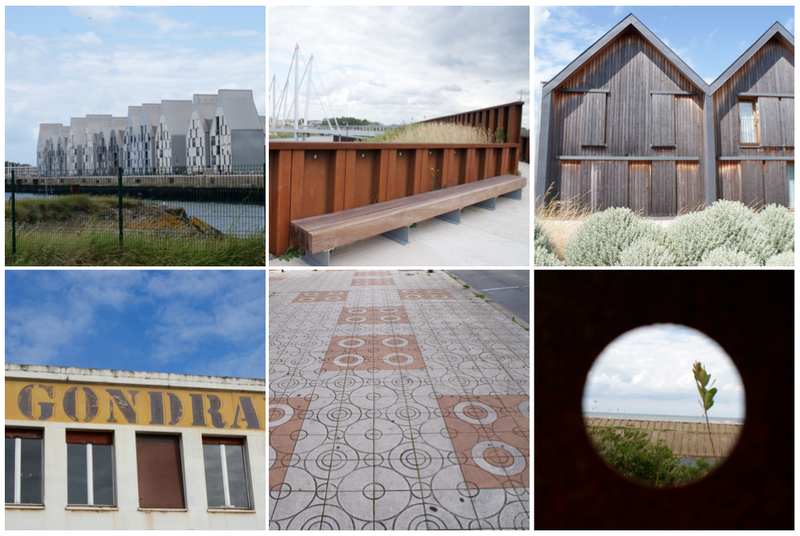 Dunkirk was all but demolished in WWII but today it is France’s 3rd largest port. The feeling there is one of positivity, strength and a conviction to do something special. In the car on the way to the port we passed a statue which read (roughly translated) ‘After it all, Dunkirk deserves peace’ – a memorable sentiment from a truly remarkable place. 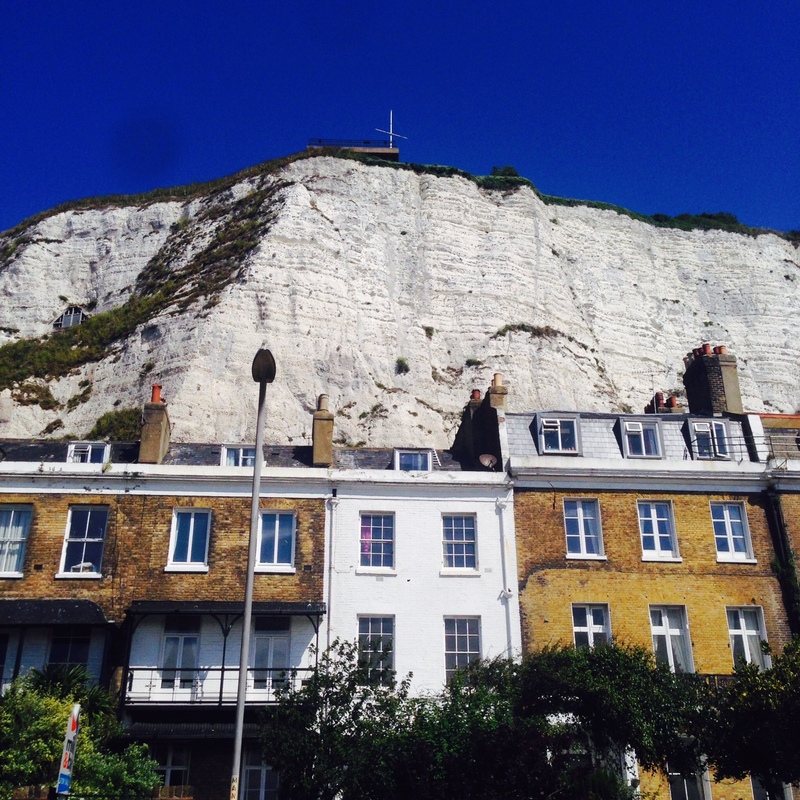 On our return to England spying the white cliffs of Dover we felt we’d experienced so much through these lesser known places and felt inspired by the positivity and creativity we’d seen demonstrated. Next article Maison & Objet Paris 2015 | Our top Five!